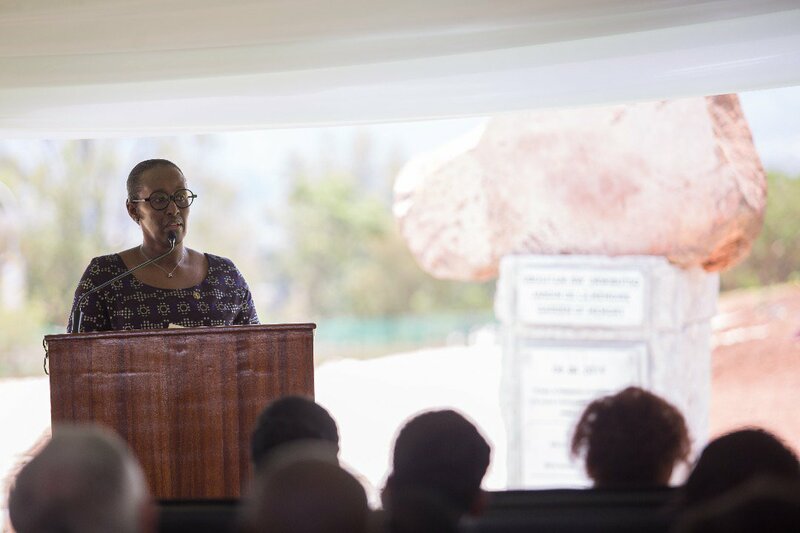 First Lady Jeannette Kagame, yesterday, officially launched the first phase of ‘Jardin de la Mémoire’ (Garden of Memory) for the victims of the 1994 Genocide against the Tutsi. Located at Nyanza Genocide Memorial Centre in Kicukiro District, the Garden of Memory symbolises life and rebirth after the Genocide, as well as the protection that was offered by nature during the Genocide. “We need various appropriate and serene places such as this garden, which allows us to gather, and continue to keep present the memory of those who perished. 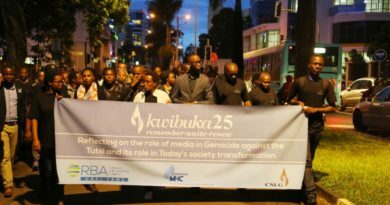 “As we visit this green garden by commemorating Genocide victims, it has to remind us that this country is rebuilt on sacrifices, those who stopped the Genocide when they were even very young,” she said. The features of the Garden of Memory include a stone monument, a dry garden, the forest of memory, landscape terraces, earth mounds, a meditation corridor, seasonal marshlands, and an amphitheatre. 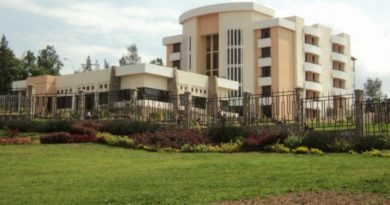 The garden, which will cover three hectares at a cost Rwf700 million, was conceived by Ibuka and Bruce Clarke, a visual artist. Nyanza is particularly known as the place where thousands of Tutsis were killed after they were abandoned by UN peacekeepers. 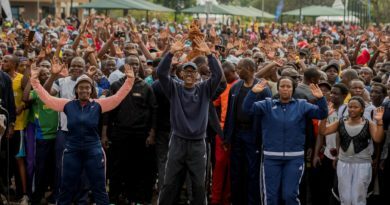 They had sought refuge at the former ETO-Kicukiro (currently IPRC-Kigali), which was protected by the United Nations Assistant Mission in Rwanda peacekeepers, until the Belgian contingent left the country, leaving them at the mercy of the Interahamwe militia. 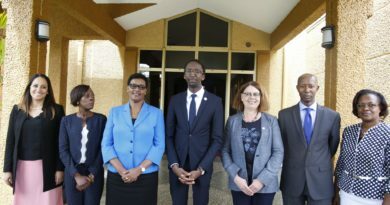 The First Lady said that the foundation stone for the garden was laid a few years after the Genocide and the liberation war, when many Rwandans had lost their hope for the future. As years elapse, she said, hope of life keeps rising and the country keeps developing. 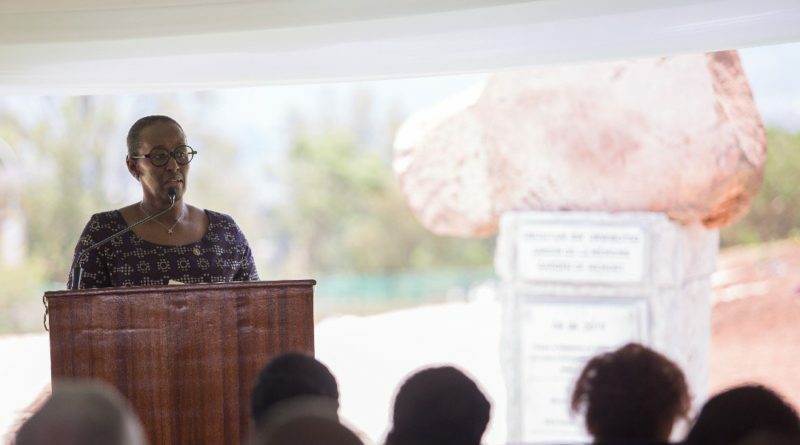 “Constructing this garden of memory on a site that faces bad history of genocide is a symbol that will keep reminding us that life continues although there are those who wished death for us,” the First Lady said. 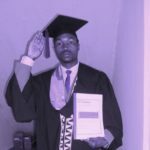 “This is the place where different people will gather and tell the international community to put efforts together to fight genocide ideology,” he said. Bruce Clarke, the visual artist who conceptualised the garden, said that it has the potential to promote public discourse about the past, present and the country’s future prospects as each feature has a symbol of the tragic history. Marshlands, waterways, rivers, trenches, trees, flowers, pit-holes and others will be created to represent places where victims were killed or thrown dead or alive, retrieved alive or dead during the Genocide. “The dry stone feature simply means we were here. It is a place of renaissance, the rebirth. The forest of memory will have indigenous tree varieties, starting with 100 trees for 100 days of suffering and slaughter during the Genocide,” Clarke explained. Umurinzi tree (meaning guardian in Kinyarwanda) was planted to keep the memory of our loved ones alive. The garden will also have a corridor for meditation with benches and shaded areas for people to relax and meditate. The open lawn and amphitheatre will be used as a gathering area during commemoration ceremonies. The earth mounds symbolise Rwanda’s “thousands hills” that provide intimate quiet spaces for meditation and reflection. Upon it’s completion, the garden will provide a space for all Rwandans to not only remember their loved ones lost during the 1994 Genocide against the Tutsi, but to also reflect on their role in keeping the flame of remembrance alive.